Journey across Koholint Island all over again in the Link's Awakening remake for Nintendo Switch. At the end of today’s Nintendo Direct livestream, a trailer for Link’s Awakening dropped, taking everyone by complete surprise. While leaks and rumors preceded the Nintendo Direct, few could have expected a remake of The Legend of Zelda: Link’s Awakening to be confirmed for Nintendo Switch in 2019. An updated version of Link's Awakening is coming to Nintendo Switch in 2019! For those unfamiliar with Link’s Awakening, it was a Game Boy title that came out in 1993 and is the fourth installment in The Legend of Zelda series as a whole. Daring to be different, Link’s Awakening steps away from Hyrule and instead takes place entirely on Koholint Island. Link’s Awakening is set directly after the events of A Link to the Past and features memorable characters like Marin, daughter of Tarin. To escape from the island, Link has to journey across the island collecting all eight Instruments of the Sirens which are needed to wake the Wind Fish. While information regarding the Nintendo Switch remake of Link’s Awakening are scarce, it’s safe to assume the game will boast the same story as the original version, but with improved graphics and a few new features thrown in for good measure. Overall, we’re brimming with excitement at the chance to play Link’s Awakening again, as it’s one of our favorite Legend of Zelda titles. 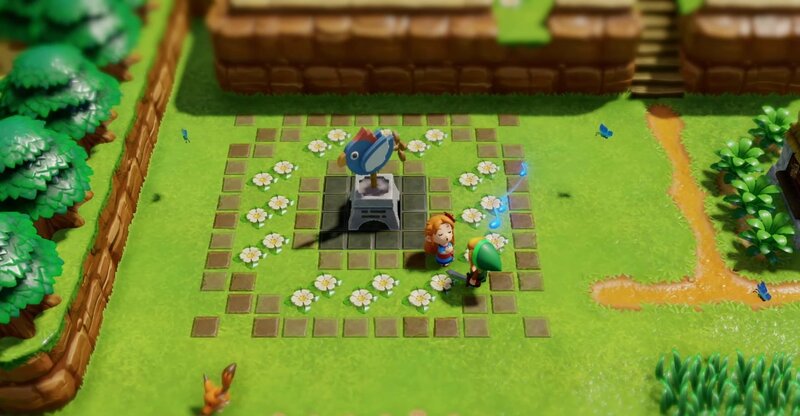 More information on Link’s Awakening will come later in the year, likely during E3 2019. Until then, be sure to check out the full reveal trailer, and let us know down in the comments below what your thoughts are on the Nintendo Switch remake of Link’s Awakening. Are you excited for the game’s 2019 release, or would you prefer remakes of a different Legend of Zelda property?